2250 Light has been developed specifically for measuring occupational, environmental and product noise, while complying fully with all the relevant national and international standards. Extensive user studies have been paired with state-ofthe-art technology to make this analyzer a robust, effective and elegant tool for those applications. Using the large, high contrast, touch screen interface, the analyzer can easily be set up to display and measure just what is needed from the extensive list of parameters provided by the analyzer. 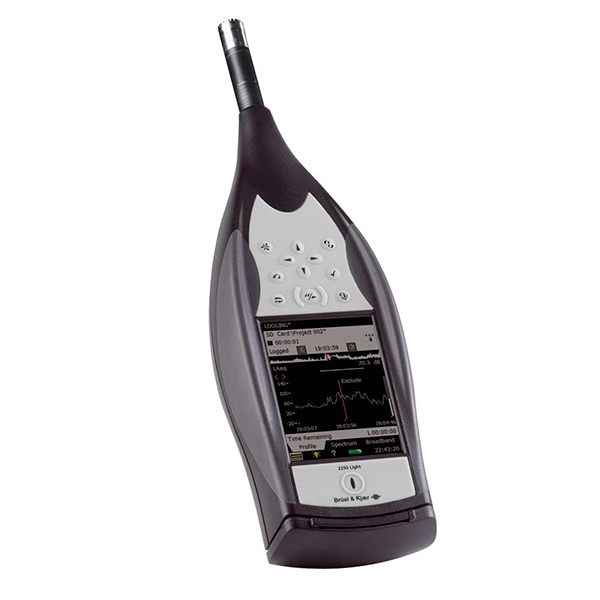 2250 Light comes with Sound Level Meter Software installed, measuring all parameters simultaneously within its wide 120 dB dynamic range. For frequency analysis, add the 1/1- and/or 1/3-octave software module. For time profile investigation, add the Logging software module. 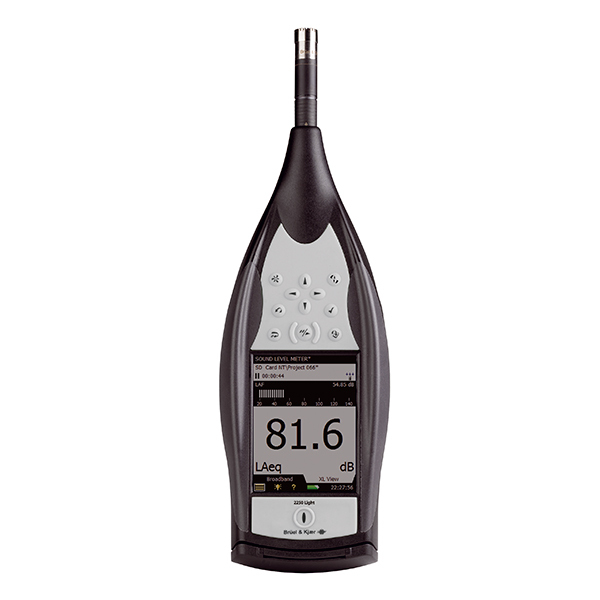 The optional software modules install easily and work seamlessly with the Sound Level Meter Software.